Real-world lessons at the convergence of AV and IT in a mixed-use IT infrastructure. 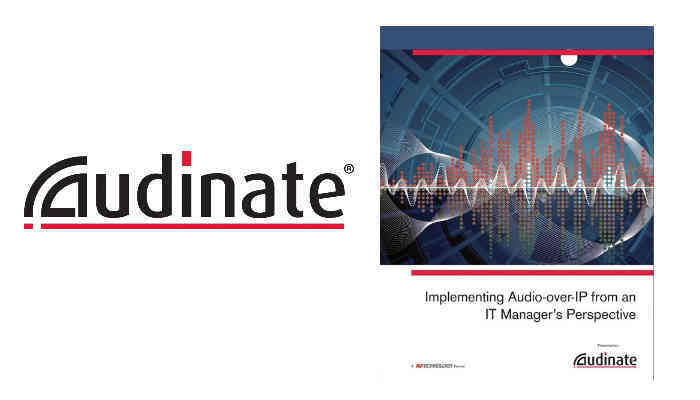 Research and developed by Audinate, the creator of leading digital media networking technology, this whitepaper discusses the world of AoIP from an IT’s perspective. With IT managers increasingly expecting AV systems to be integrated with enterprise data networks, many of them may not be familiar with the specific requirements of audio-over-IP systems and common AV practices. Conversely, AV professionals may not know the concerns of IT managers or know how best to achieve their goals. This whitepaper helps both sides understand each other’s needs. The whitepaper can be downloaded for free here.